Emily takes refuge in a small town on the Isle of Anglesey to plan the search, where she meets Walter, a gentle stranger, who helps her with words of wisdom and kindness. But it is when she decides to return home to Hastings, that she really has to face her demons. Don’t be fooled by the three stars: Isabella Muir is an exceptional writer! I was frequently left smiling and in awe by her quality use of literary techniques and by her perfect articulation of setting. Little nuggets of wisdom are hidden throughout the book that can make any reader stop and contemplate the greater picture of life. However, although the novel started strong, I felt a disconnect through the plot development. I felt some scenes underdeveloped or distracting from the plot itself. It made finishing the book difficult. Although the theme and the story itself are heartbreaking (about a horrible injustice of human history I never knew happened), I felt dissatisfied with the ending. From the midpoint on, I felt the story lacking in urgency and detail. With such quality writing, I would have expected more in terms of story pacing and emotion. I read for character, emotion and writing quality. Isabella Muir has a huge five star for her writing ability but my emotional connection to characters was weak, due to poor plot pacing or for lack of development. I am grateful this story has been told. 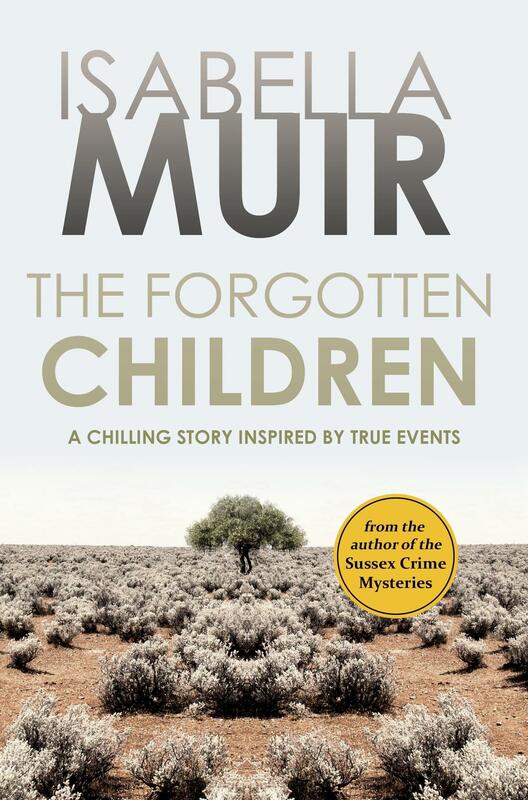 I needed to learn the truths of this terrible reality of the past, and I believe Isabella Muir has done a great service to the world and to those who suffered as a result by creating this novel. All in all, I had to settle on 3 stars. Beautiful writing aside, the plot, the characters and the story, had promising beginnings but sadly didn’t fruition with what potential I was expecting. I’m an emerging author with an insatiable appetite for literature. I read for pleasure, character development, poetic description, to improve my own craft and to help other writers reach success through my honest feedback. Mark is a casualty of a war I’ve been having since December 1967. A war with more than one enemy and only one true ally, my beautiful Irish friend, Geraldine. In truth, if it were not for Geraldine, I would have spent most of the last twenty years unattached and free from the emotional demands that inevitably come from any relationship. But Geraldine, Gee to her friends, can’t bear to see me single. So I ditch one bloke, only to be introduced to another. If it wasn’t so sad it would be funny. Mark is the latest. We’ve been together just short of two years. He’s funny, uncomplicated and a great dancer. All attributes that score him ten out of ten in Gee’s books, and leaves me wondering why she didn’t go out with him herself. I can’t imagine a time when Mark and I would ever be as synchronised as Gee and Alan, who have been together so long they even finish each other’s sentences. Nevertheless, life with Mark is easy enough. We party late at weekends and usually crawl out of bed at midday, nursing muzzy heads. But since a visit to the doctor confirmed the reason I had lost my appetite, I’ve been trying to pluck up the courage to tell him our partying days are over. We will have to leave our little house, with its terraced garden higher than the roof and find a place with a flat patch of grass and a few leafy trees. Now, as I lay in bed with Mark beside me, I close my eyes tightly and picture our new garden, with a seat under an apple tree where I could sit and watch our child play. And that is the moment I recognise the betrayal. I’m dreaming of a new life while my first born is out there somewhere, maybe living, maybe dead. The bleeding started earlier in the day and as I turn onto my side, it gets heavier. It’s a suitable punishment for a crime I took part in, albeit unwillingly. I try not to move for a few moments, foolishly hoping I can stop this from happening. Mark shifts beside me in bed. I peer at the luminescent numbers on the purple alarm clock that sits inches from my face. The numbers flick silently as a minute passes, then another. It is 3.30am precisely when I use one elbow to nudge him. ‘I think I’m having a miscarriage,’ I say, keeping any emotion from my voice. I feel him swing his legs out of bed. He turns the bedside light on. I am scared to move and with my back to him I can’t see his face, but I can sense him trying to move himself from a deep slumber to waking. He walks around the bed and kneels, then runs his hand over my forehead. As he pulls the sheets and blankets away from me, I hear him gasp. I look down to see the worst of it. The blood has pooled below me, seeping across the bedsheet, like ink on blotting paper. St Stevens is a fifteen-minute drive away. Mark guides me onto the back seat of our car, throwing a blanket down for me to sit on. ‘It’ll be quicker,’ he says. My dressing gown clings to my legs and I have a mental picture of me, standing at the kitchen sink, trying to scrub the blood stains away. Stupid. Pointless. That evening he visits me in hospital. His work jacket doesn’t completely hide the crumpled shirt he will have grabbed from the ironing pile, creases around the collar and cuffs telling their own tale. He holds my hand and talks, while I listen. His topics are carefully chosen; the vagaries of the weather, the problems he’s been having with the clutch on his car. He asks me about the hospital food and laughs when I screw up my nose and pull a face. Finally, he asks me how I’m feeling. I turn towards one end of the ward where a single window looks out onto the car park. ‘Are you in pain?’ he says, running his hand over mine as though he is trying to wipe away all that has happened. When I don’t answer he tells me about a development at work. Mark is a quantity surveyor, by trade and by nature. He’ll assess each situation and weigh up the likely consequences, before confidently deciding on a chosen route. I don’t. Neither weigh up, nor confidently decide. His mention of Ralph starts a feeling of panic in the pit of my stomach. He watches my expression change. He looks around the ward. A nurse is moving from bed to bed, changing the water jugs. I shrug my shoulders and close my eyes. I open my eyes and attempt a smile. He touches my shoulder, but I pull away and watch his shoulders drop. He runs his hand through his hair, flicking back his fringe. He shakes his head and turns and I watch him walk away from me. He pushes the ward door open with such force it swings back with a threatening thud. The nurse stops what she is doing and casts a sour look in his direction. The hospital discharges me the next afternoon. Mark is at work, but there’s a chance Gee will have skived off early. I remember her telling me that one of her friends was throwing a midsummer party and, knowing Gee, she will want at least four hours to get ready. I take a taxi to thirty-six Cumberland Avenue; Gee’s house share and the place that offered me sanctuary when I first arrived in Brighton. We drink coffee and I tell her about the miscarriage, about Mark, about Norfolk. The words tumble out and she listens without interruption. She knows my past, she understands my present and appreciates the possibilities for my future. ‘I know.’ I don’t want to think about any of it. A few days ago my agent, Natalie, phoned to say The Herald is planning to run a competition, with a set of my books as a prize. During the early days in Brighton I spent all my free time in Paradise Park, watching the children. The roundabout was a favourite; an old wooden thing, with its red paint long gone, leaving a flake or two as a clue to past days. As I sat, watching the children making themselves giddy, the first story came to me so fast I felt as dizzy as the little ones who were hanging on tightly. Polly with her golden hair in pigtails, pink gingham dress and short white socks, following Peter, a year or two older and full of bravado. It was when Peter first swung over the water on the rope ladder that his quiff fell into his eyes and I could see the possibilities opening up in front of me. Geraldine persuaded me to send my first book off to agents and when Natalie Larkin replied, I had to read the letter three times before I could take it in. The process for the first book was tortuous. Editing, re-editing and bravely accepting Natalie’s suggestions as she helped to turn my rough, ugly duckling draft into a swan that graced children’s bookshelves countrywide. It wasn’t just the writing that was transformed. The Emily who had arrived in Brighton years before had changed. The dreadful mistakes of my past couldn’t be undone, but the grief and rawness had dulled a little. By the time I’d written the ninth book Peter and Polly were approaching their teens and their Scottie dog, Ralph, had traded long walks for hours curled up in front of the coal fire. Until now I’ve been lucky, managing to keep my private life private. I know I will have to meet her halfway, it’s part of the deal. But I’m good at pretending, after all, I’m a writer. I don’t need to reply. She knows me well enough to know my life will never settle, not until I’ve completed a search I’ve put off for twenty years. I didn’t think I would smile today; but as she links her arm through mine and we head towards the hallway, some of the blackness lifts. ‘Aren’t we all?’ she says, pulling a jacket off the peg by the front door. We meander through the alleyway back to number nineteen Filbert Road; the place Mark and I have called home for the last year or so.